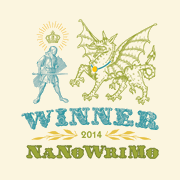 Another NaNoWriMo has come and gone, and with each one, there is always a tinge of sadness when it ends. There’s something special about this month, even though all the deadlines are self-imposed and the word count is arbitrary. But, if NaNoWriMo was every month, we wouldn’t hold it to such high standards, or rather hold ourselves to such high standards. Having the one month where we make a promise to ourselves as writers to really write, is so important for checking in with ourselves and our goals. I’m still in the afterglow of finishing another one, because I was convinced for the first few weeks I wouldn’t. That fear of failure really focused me, but perhaps more than that, the fear of not finishing something I started. From January to October this year, I worked on one novel. 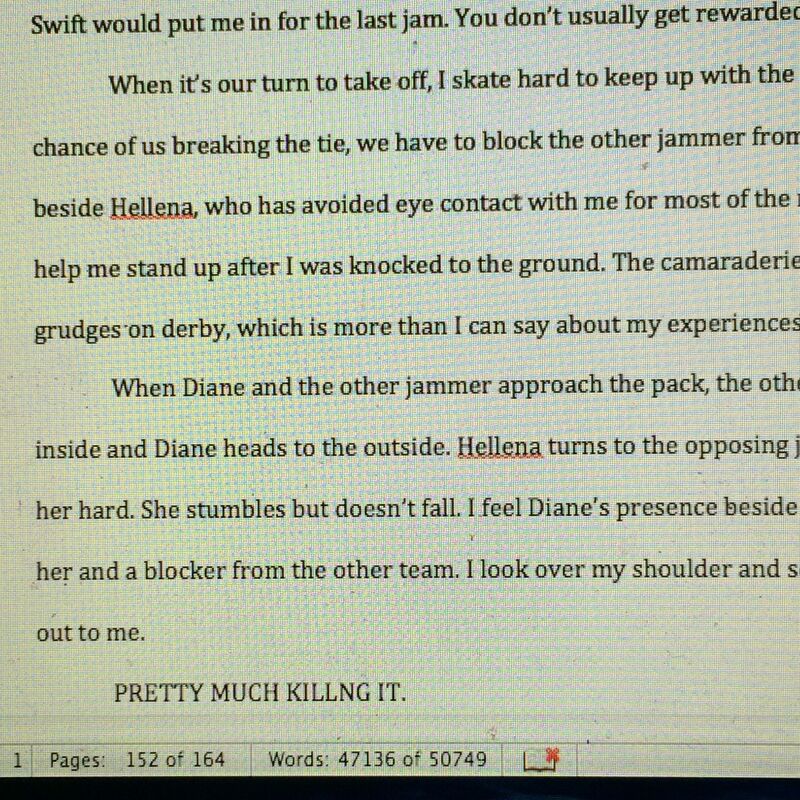 By participating in NaNoWriMo, I wrote over 52,000 words of my new book, easily two-thirds of the manuscript. That’s a lot of raw material to produce in a month, and it gives me a lot to work with now as I continue to write the rest of the story and eventually go back to start editing. Sometimes we need these big outpourings of writing to remind ourselves this is what we love to do, and that we can do it. So much of writing is self-doubt and holding ourselves back. NaNoWriMo is a way for us to focus on a goal and distract ourselves from our writer’s block and other worries. Of the three young adult books I’ve worked on this last year and a half, this one has been the most difficult for me plot-wise. I feel all of the pressure of writing the end to a trilogy. There are the usual hang-ups over saying goodbye to my characters, but worse than that, I feel like the third book in a trilogy has the difficult task of summing up and putting closure on a world that has developed over multiple books, while at the same time bringing something fresh (new characters, story lines, and twists) to keep readers interested. That is no small task. So of course my mind is on endings right now. How should I end things for my main character when I’ve put her through so much? What are my responsibilities as a writer? Does the ending need to be neat and tidy with an epilogue describing how every character winds up? No, that feels too Victorian, too capital N novel. I love writing ambiguity into my short stories. Am I allowed that same option in a novel? There is a recent podcast sweeping American culture called “Serial.” It is an interview series following a true-crime murder case from 1999. Sarah Koenig, the woman interviewing, researching, and producing the podcast, doesn’t know if the accused is guilty or not. She doesn’t know how her series will end because she doesn’t know where her investigation will lead her. This is an interesting story for listeners to follow because it sets up expectations it may not ultimately be able to fulfill, so listeners have to gamble with their expectations and be prepared to never know the truth. In a recent piece dissecting “Serial” and how it could possibly give a satisfying ending, NPR writer Linda Holmes said rather eloquently, “Surely, we don’t begrudge it its messiness and mysterious spare parts that fit nowhere; we embrace its messiness and we consider those spare parts to be colorful. Why couldn’t we do the same with a piece of fiction?” I like fiction that mirrors real life, fiction that doesn’t come with the bow of a happy ending on it. I don’t know exactly how the ending of my current book will look, but I know it won’t end in a spectacular blaze of glory, bullets flying and riding off into the sunset with the girl. It’s going to be messy, full of tears and a few admissions of guilt, and hopefully just as bumpy and complicated as the transition from girlhood into adulthood my protagonist experiences throughout the series.